And hardly a duplicate in the bunch. But it’s a testament to his versatility — he co-created Swamp Thing and Wolverine, most famously — that when I asked a number of comics creators and pros to name their favorite stories written by Wein, almost everyone came up with something different. My favorites of Len’s work are from before I knew him, and certainly aren’t his finest work, but hit me in the right place: his early ’70s Phantom Stranger run. 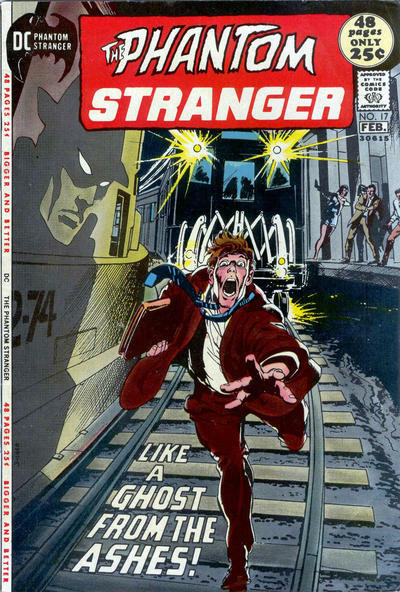 I’d found the Stranger interesting even in the early, mostly reprint issues, but the lyrical quality of this run and the relationship with Cassandra Craft took it to new heights. That’s what made me want to write the Stranger when I came into the field, and I could never do it a fraction as well. Of our collaborations, I fondly remember Superman #344 — my only issue of that title, which Len had plotted and I got to dialogue. And, of course, he returned the favor, doing a Legion story over my plot when my schedule was jammed… though it wasn’t a fair trade, as he was never a Legion fan and I loved Superman. 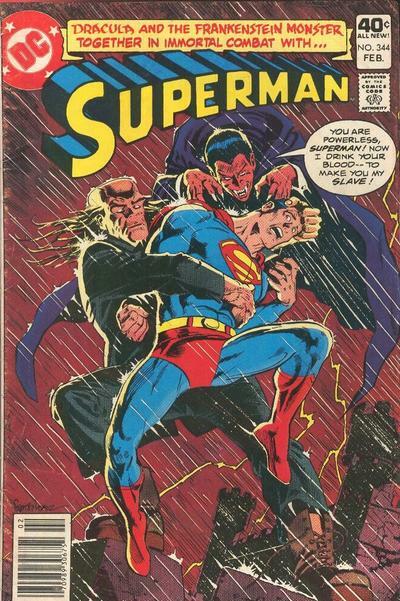 Hands down, my favorite Len Wein story is no one else’s choice, I guarantee. 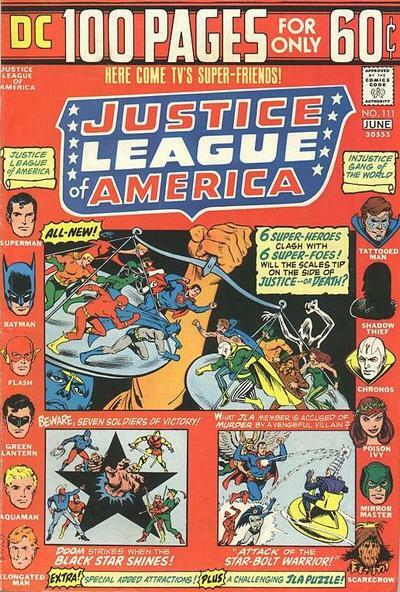 It’s Balance of Power from Justice League of America #111, 1974. It has a brilliant bit of business in it. The individual JLA members’ villains are on the loose. Batman starts ordering everyone to go fight their specific villains — “Atom, you go fight Chronos, Hawkman, go get Shadow Thief,” and so forth. But Elongated Man says they’re all bored fighting the same old guys and guilts Batman into literally putting the villains’ names in a hat to mix up the battles. There’s probably not a single time I sit down to write a team book that I don’t think of that moment. Off the top of my head, JLA #107 — Crisis on Earth-X — which reintroduced the Quality characters. A new parallel world with a great alternate history, plus as a guest star, the Earth-Two Superman. 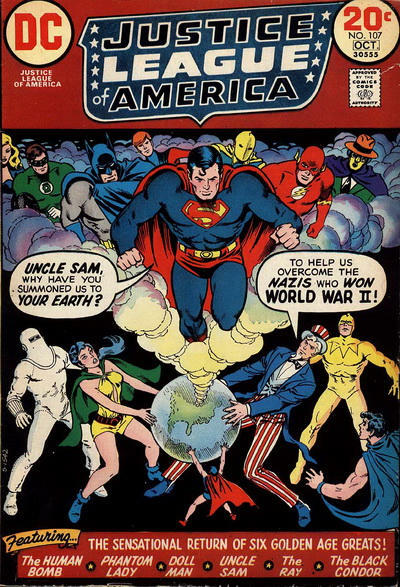 I loved the annual JLA/JSA crossovers and this was one of the most inventive and original. 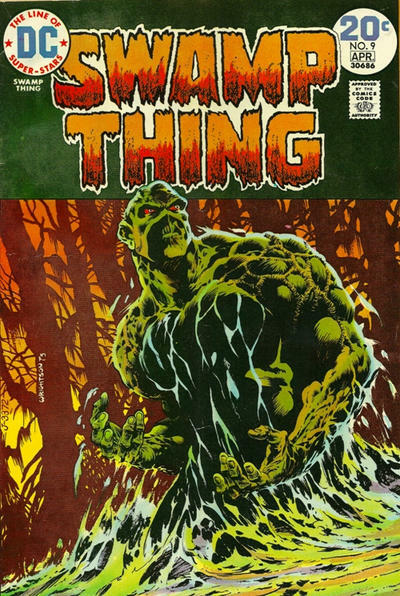 I think Swamp Thing is my favorite Len Wein project, if in large part for the contributions of his fellow member in the ranks of the gone-too-soon, Bernie Wrightson. My favorite single issue is #9 — The Stalker From Beyond! — where Swampy fights an alien who’s even more enigmatic and weird and, in his own way, as sympathetic as he is. When I think about the first time I became aware of Len Wein, it was Detective Comics #408, Feb. 1971 — the Neal Adams-illustrated The House That Haunted Batman! This issue’s illustrations rank as among the best of Adams’ entire Bat-run (that would coincidentally end with a solo Wein tale, the equally memorable Moon of the Wolf in 1974). But beyond Adams’ awesome art was the behind-the-scenes fact that he used the considerable clout he commanded back then at DC to get former fanboys and wannabe writers Wein and Marv Wolfman published. 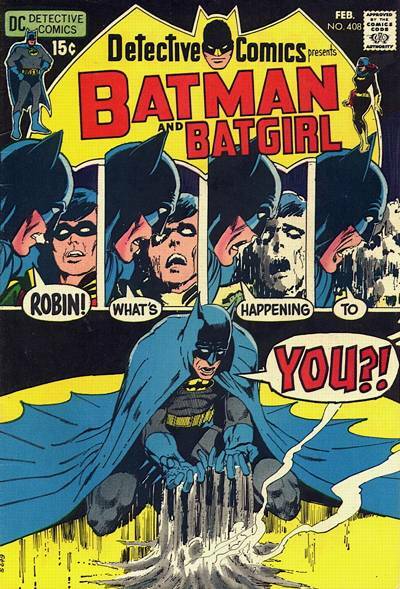 Adams’ cover was startling enough, a strange time-lapse of Robin disintegrating in Batman’s hands that was duplicated inside the story. And it was a strange, Twilight Zone-y story too, like walking through a haunted house’s hall of mirrors, where each page changed, distorted, differed. And then, at the end, the villain was revealed to be… Dr. Tzin-Tzin?! It was kinda neat to see these newbie co-writers Wein and Wolfman take what could’ve been a campy cliché and, thanks to Adams’ realistic rendering, instead create a cool, offbeat little tale. Bravo, Messrs. Wein and Wolfman! What a way to start a career! 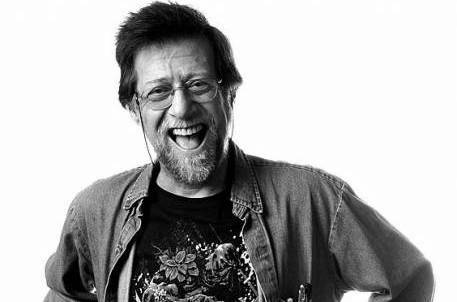 Len Wein, as well as Bernie Wrightson, were so celebrated as well as underrated in this beloved industry and art form. And huge in our lives for too many reasons to count. I clearly remember as a kid when their lightning simultaneously struck me. Before comic shops and eBay, I rarely had complete runs of comics. There would be sporadic favorites that would find their way into our house. Single comics that would be cherished and read again and again. Swamp Thing #7 was one of those comics. It was part of the furniture. To this day, Len’s wonderful storytelling and Bernie’s impossibly in-your-face art reignite my passion for all of their historical achievements whenever I see the cover to the comic that started it all for me. From my humble perspective, it’s so cosmically strange for Len to follow Bernie so soon into the next world. 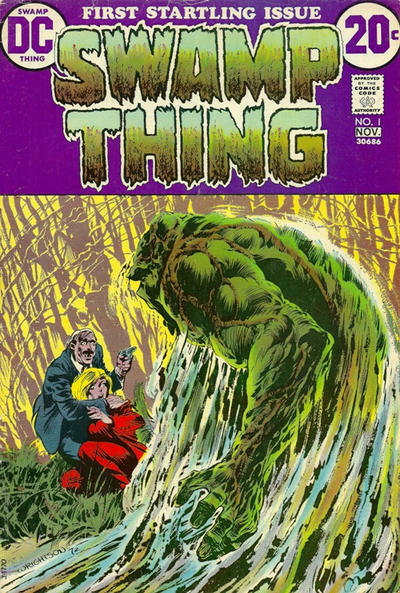 Obviously, they did so many extraordinary things on their own, and with other collaborators, but my affection and enthusiasm for both of their creative outputs began with Swamp Thing #7. (Swamp Thing and Batman, people!) Looking at it again now takes me to a very thrilling and happy place that will always exist. One of my favorites was the JLA/JSA/Seven Soldiers of Victory story in JLA #s 100-102. I enjoyed seeing the Seven Soldiers brought back. I will always remember his run on Swamp Thing with Bernie Wrightson. It was brilliant and evocative of the great Universal monster films. 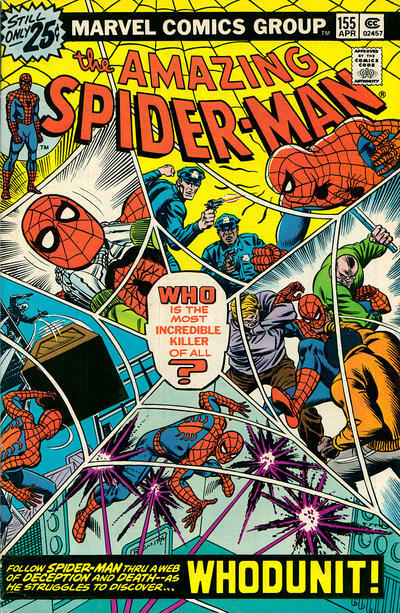 While I read many other great stories by Len Wein, as an erstwhile Spider-Man editor, I always remembered Amazing Spider-Man #155, titled Whodunit! — which revealed the answer to the issue’s mystery right in the title. It may not be my favorite story by Len, but it’s one that always stuck with me. It was clever, and I like clever. Back in the days when Jim Shooter was editor-in-chief at Marvel Comics, there was a wall outside his office known as the cover wall—because all the new covers were posted on that wall. One day, Len looked at the cover wall, and noting that there were several covers featuring portraits of the lead character on their respective covers, he snarkily asked, “Hey, is this ‘Big Head Month’?” I thought that was funny, but I also thought that was a brilliant idea. So, I filed it away in that place in my brain where I keep such things. Later on, when Jim Shooter was looking for something special to do on all the covers for Marvel’s 25th anniversary, I remembered “Big Head Month,” and suggested that every cover be a portrait of the comic’s title character. What I especially loved about the idea was it would even cross over to the licensed covers that Marvel published as well. In other words, it was a way for all the covers to have the same idea—but not literally the exact same thing on each cover. Naturally, a frame was added to the covers, so that each cover then did have the exact same thing on it, but that’s how it goes sometimes. My condolences to Len’s family, friends, and fans. 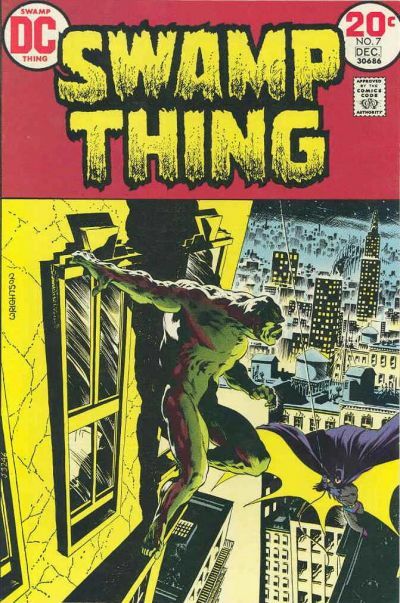 When I think about the first time I became aware of Len Wein, it was, I think, his first published story for DC Comics: Detective Comics #408, February 1971, the Neal Adams-illustrated “The House That Haunted Batman!”—and it was unique for a number of reasons. First off, it was a collaboration with another writer I had never heard of either, Marv Wolfman—and I don’t think I can recall a DC comic prior to that ever being credited to two writers! Secondly, it was the first Batman story in the new Neal Adams era of solo Batman stories circa late-1969 to not be written by either Denny O’Neil or Frank Robbins, editor Julius Schwartz’s go-to Bat-writers. So we Bat-fans had to be a little suspect of these newcomers to the Bat-fold. And last but certainly not least, it was illustrated by Neal Adams smack in the middle of his prime Batman era, where not only was he treating us to incredible covers on both Batman books every month, but every now and then, he would gift us mere mortals with an illustrated interior. And this issue’s illustrations rank as among the best of Adams’ entire Bat-run (that would coincidentally end with a solo Wein tale, the equally-memorable “Moon of the Wolf” in 1974). But beyond Adams’ awesome art was the behind-the-scenes fact that he used the considerable clout he commanded back then at DC to get former fanboys and wanna-be writers Wein and Wolfman published. Adams did this throughout his career, getting writers like Mike Friedrich (“Silent Night of The Batman” in 1969) to Elliot S! Maggin (the solo Green Arrow story “What Can One Man DO?” in 1971) published by telling DC he’d illustrate them. 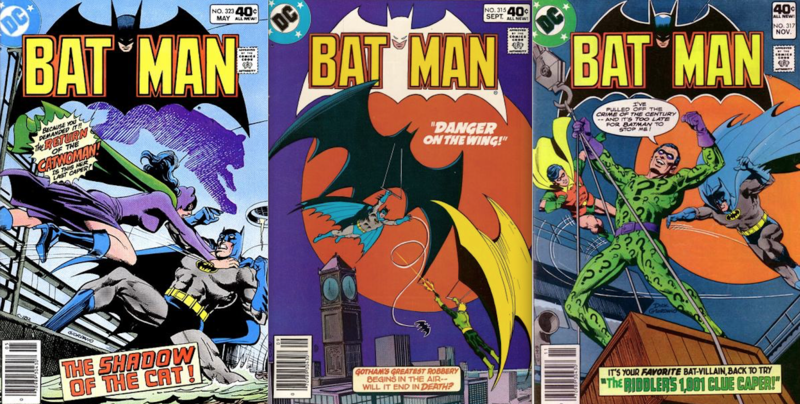 Adams’ cover was startling enough, a strange time-lapse of Robin disintegrating in Batman’s hands, and it was also duplicated inside the story, as well. And it was a strange, Twilight Zone-y story, too, with twists and turns uncommon to the more straightforward Batman stories we had been used to by O’Neil and Robbins. It was indeed like walking through a haunted house’s hall of mirrors, where each page changed, distorted, differed. And then, at the end, the villain behind the haunted house charade was revealed to be…Dr. Tzin-Tzin?!?!? From the much-pilloried prior error—I mean, era–of the Batman TV series? Up to that time, the Adams era had dared not dredge the trough of costumed Bat-villains associated with that nadir of Batman’s career (his and O’Neil’s new Two-Face story came out later that year, and their Joker story was two years away), so it was kinda neat to see these newbie writers Wein and Wolfman take what could’ve been a campy cliché (It might count as the first post- Silver Age “reboot” of a comic book character) and—thanks to Adams’ realistic rendering, of course—create a cool, offbeat, oddball little tale. Bravo, Messrs. Wein and Wolfman! What a way to start a career! Well I keep saying this and nobody cares , but what better time than now to share it again,…. 1974, I was 8 yrs old and a college student of my dad’s had brought to me a present of Marvel Team-Up # 16. It was my introduction to Gil Kane’s art, Marvel’s version of Captain Marvel, and Len Wein’s writing. I was knocked out by Gil Kane’s anatomy, storytelling style and sense of drama. And I got a huge kick out of the fact that they called Captain Marvel – Mar-vel. Even as a kid I thought that was clever. But I remember in particular early in the book Peter Parker walking down the street toward a peaceful evening alone at a movie. He mused to himself that it’s been so long since he’d seen a movie that he probably wouldn’t be able to tell the difference between Clint Eastwood or Linda Lovelace. I really had no idea who either of those figures were back then, but today as an adult I ‘marvel’ at the fact that Wein not only borrowed that cultural reference from the time, but that he got Linda Lovelace past the Comics Code Authority censors. I consider this issue to be a masterpiece…., and an unappreciated should-be-in-a-Gil-Kane-collection-of-works, masterpiece. It was 25 years before I saw issue 17, the follow up, and saw how it came out. I was very disappointed the follow up issue was not a masterpiece. But, here’s to Len Wein and Gil Kane for that matter.